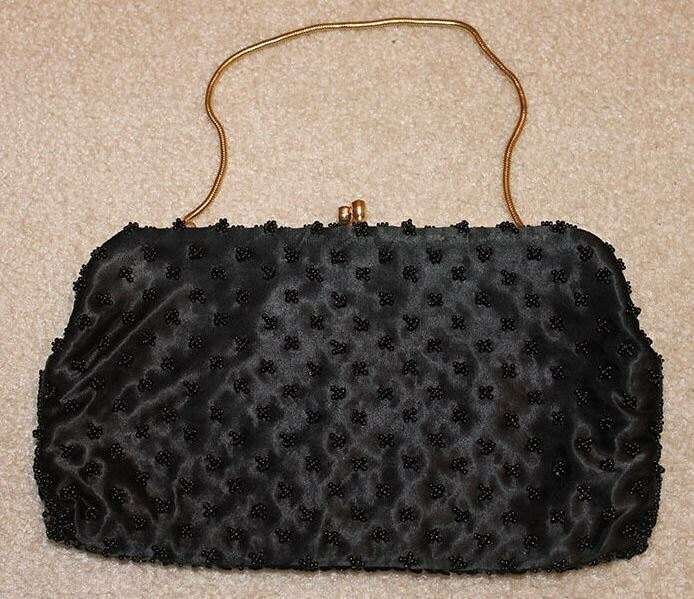 Perfect Black Evening Bag by Stylecraft Miami. 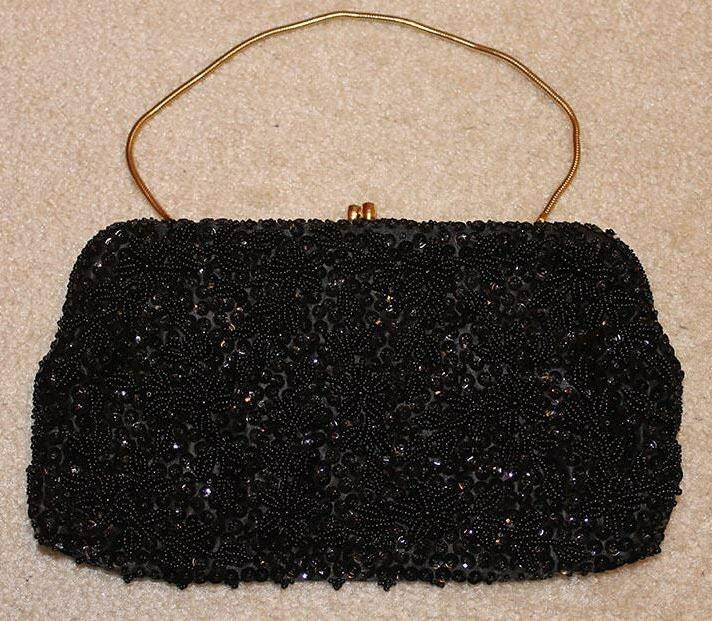 Simply gorgeous beading on this vintage bag by Stylecraft Miami. 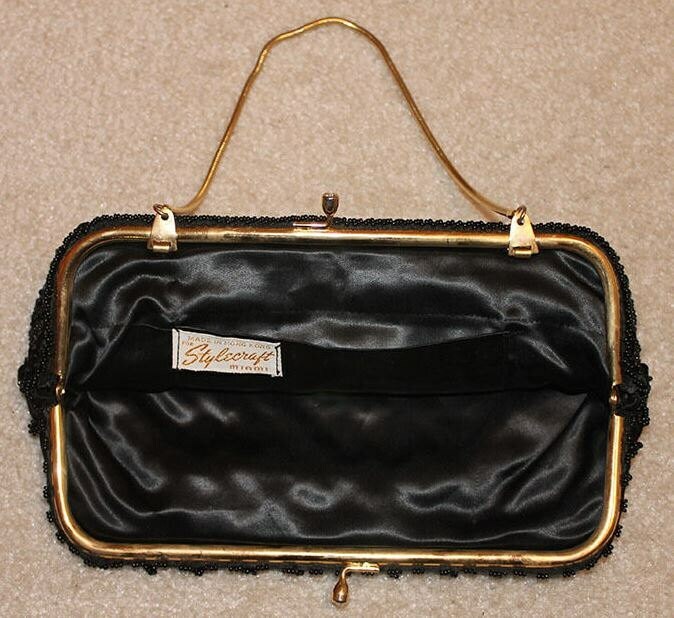 Black satin interior with one main compartment and a small side pocket. Gold tone metal hardware, kiss closure. Measurements: 9 inches long X 5.5 inches high X 1 inch wide. Chain has a 12 inch drop.